We wanted a design that was light and bright, warm and welcoming. We call the area in the front of our office "The Living Room". We gave it this name because we want the experience for clients to feel comfortable and at home in our office. 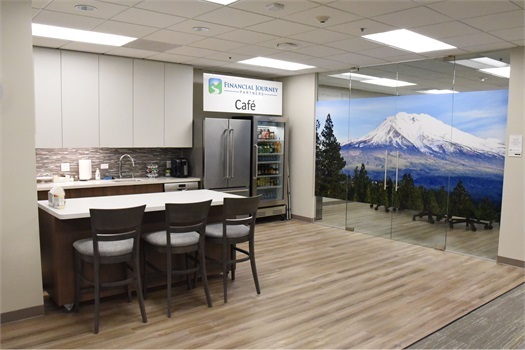 Our office includes a Cafe for our clients so they can grab something to eat, drink and make themselves feel at home. We have a drink refrigerator stocked with all our client's favorite drinks. 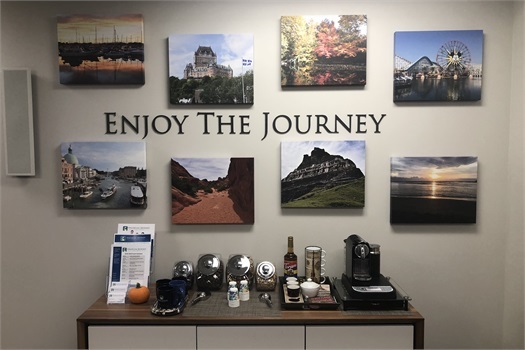 A favorite phrase of our is "Enjoy the Journey". We feel it is important for our clients to enjoy the journey through their lives. We want to be the partner for our clients to help them make it happen. 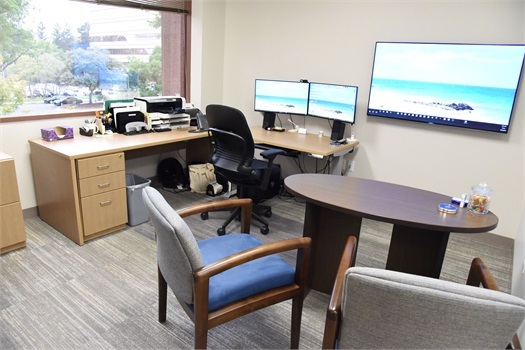 Advisor offices were designed to optimize the client experience. 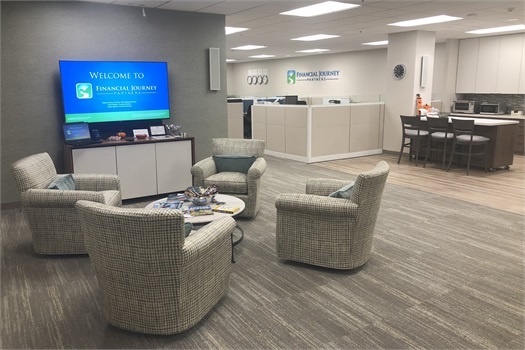 Large TVs bring financial plans to life for clients. Each piece of furniture was custom designed to create the optimal experience.